Laser technology has evolved. Our new advanced laser therapies mean we can successfully treat a range of different conditions both safely and quickly. As well as effectively removing unwanted hair or unsightly veins on your face or body, our more intense laser therapies can now resurface, tighten and clarify your skin, so you can now enjoy hair and blemish free rejuvenated skin day after day. For resurfacing ageing, sun-damaged skin. This is for the person needing a deeper level of exfoliation beyond microdermabrasion. Ideal for patients who want immediately improved skin with lasting results and minimal discomfort, down-time or post-treatment care. Using a computer-driven laser, the outer layer of skin is removed. This procedure is carried out by a Doctor who will adjust the depth of penetration, tailoring the procedure to your skin's needs. There will be some redness and swelling post-treatment, depending on the depth of penetration. Typically the procedure is repeated two to four times, spaced eight to ten weeks apart. 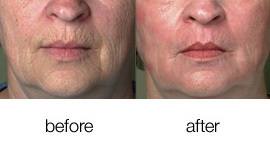 For maximum results, this treatment is highly recommended in conjunction with Skintyte or Photo Rejuvenation. Your Doctor will recommend an individual course of treatments. For permanent reduction of small calibre veins, spider veins, capillaries and vascular lesions in any area of the face and body. This treatment is possible with all skin types. 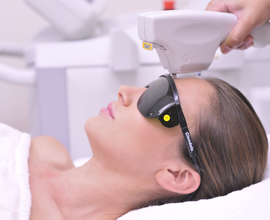 We use the Profile™ ClearScan™ laser which involves minimal discomfort. There is no down-time or need to wear support stockings. Depending on your response to the treatment and desired result, your Doctor will recommend repeat sessions every six to eight weeks. For permanent reduction of facial and body hair. For permanent reduction of facial and body hair. Using one of the world's most effective laser systems, we can efficiently remove unwanted hair from most body areas. Our technology includes continuous deep cooling to remove heat from the follicles and surrounding tissue, so that we can treat all skin types comfortably. Our rapid system allows us to treat large areas such as the back or full legs in around 30 minutes. This is significantly faster than other systems that can take two to three hours for these areas. Your Aesthetician will most likely recommend a minimum of six sessions, four to six weeks apart. Additional areas can be treated on request.